Summer is a great time to get out and stretch your legs from those long winter months. Being active not only helps your health but also your well-being. So, this summer pick up an old hobby or try something completely new! Volunteering is a great way to help others or the environment. Whether it’s cleaning up a park or helping those in need, you’re making a difference either way! Plus, getting involved in your community can help you fight isolation. Social isolation is a common danger for seniors. Social networks within senior living communities are a good place to start when it comes to preventing isolation and its complications, but it’s also important to involve seniors in their local community. 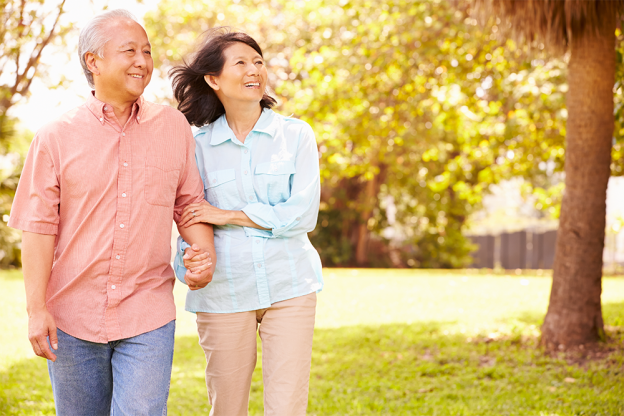 Taking a walk is a low-impact way to add some physical exercise in your day. Whether you’re going to bird watch, explore the fresh flowers budding, soak up the sun or socialize with a friend, walking is a great mood-boosting activity. Gardening is a simple way to get exercise for seniors who like to get some fresh air but can’t quite handle the more strenuous activities. Whether you’ve never gardened before or it used to be an old hobby, it’s easy to get started! If you don’t have a personal garden or your community doesn’t have a place for it, many neighborhoods have gardens you can take advantage and start growing your own plants. You can also try planting an herb garden inside–just make sure it has enough sunlight! Having people around you that support and engage you is a very important part of happiness. Do you already have a book club? If not, start one! Invite new and bring old friends outside to discuss your thoughts on the latest book. This way, you can get some quality time in with the sun and with the people around you. Summertime brings a breath of fresh air after the long winter fades behind us. It’s important for seniors to stay active but also to try and enjoy every aspect of life. Make an extra effort this summer to spend time outdoors and try some of these activities! This entry was posted in Health & Wellness, Life at VPC, News & Events and tagged activities for seniors, senior activites, senior living apartment, senior living community, summer activities on July 9, 2018 by Alex Rothstein.